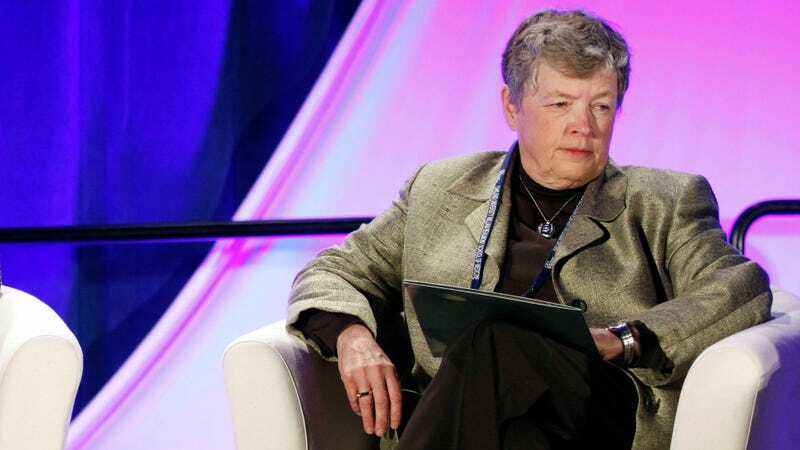 In an interview on local radio show Staudt on Sports, Michigan State board of trustees member Joel Ferguson reinforced the university board’s stance that the majority of board members still support university president Lou Anna Simon, saying, “there’s so many more things going on at the university than just this Nassar thing.” The interview can be listened to in full here (Ferguson comes in around the 25-minute mark). After brushing off the largest sexual assault scandal in American sports history, Ferguson maintained the stunning pace of arrogance by claiming that not only should Simon keep her job, but that nobody on the school’s senior leadership should be held accountable for the roles they played in abetting Larry Nassar’s years of sexual abuse. Calling Nassar a “pervert,” Ferguson posited the former Michigan State employee was “on an island by himself”—a statement that is categorically false, as Nassar was subject to annual reviews by superiors as both a team doctor within the Michigan State athletic department and as an associate professor who taught students within the university’s Division of Sports Medicine and College of Osteopathic Medicine. These same superiors were the ones made aware of numerous complaints against Nassar dating back as far as 1997 and who, at one point, allowed him to continue seeing patients one-on-one in the midst of an internal investigation. We’re talking to her and we define her overall job as why we want her to be president. And we were also happy later on saying, let’s have another investigation, let’s bring the attorney general in, and whatever they say, we’ll live with that. But we’re certainly not going to do anything before the thing. Because we actually believe when he gets through, he’ll say our senior people were not complicit to what this pervert did. This weekend we had so many of our major donors and major alumni sending us communications in support of the president. Ferguson then reiterated the idea that Simon’s ability to both land the school a series of payments for basketball stadium renovations and expand Michigan State’s donor base are components of the job that shouldn’t be overshadowed by the current headlines. I think the young ladies who have been wronged by this person, I think in the case there will be a—you can never use money to completely make over people’s pain and suffering, but there’s going to be something happen in their favor. I think when people find out this person was on an island by himself, I think they’ll move and we’ll keep the university moving with the president we have, who will continue to do a great job. What she’s done for this university, she’s not going to get run out of here by something someone else did. Ferguson’s remarks, both on the page and audibly, come off as arrogant and disjointed from reality at best; at worst, they’re emblematic of one of college sports’ and the university system’s larger issues, which is that when it comes to the decisions made by presidents and board members in times of crisis, the school’s bottom line tends to trump any sort of empathy or basic human decency. University boards typically serve the purpose of making sure college presidents hit their fundraising and donor goals. Less concerned with day-to-day operations of interacting with deans or campus issues, their role is to ensure the university brand and financial and infrastructural investments are fetching favorable returns. When Ferguson referenced the voices of “major donors and major alumni” as a key reason he and the board believe Simon should remain, he betrayed his underlying motive. As is the case in most every American bureaucracy, it’s the people with the deepest pockets that gain the ears of those with any power. Having “major alumni,” who are probably worth tens of millions of dollars to the school, throwing their weight behind Simon is all the reason Ferguson or any other board needs to support her. Never mind that both current students and the victims—the ones Simon and Michigan State didn’t reach out to for over six months after the Nassar scandal broke— have called for Simon to be fired. They may be Simon’s actual constituents, but they aren’t the ones who really matter.